WikiLeaks founder Julian Assange is seen in a police van after was arrested by British police outside the Ecuadorian embassy in London, Britain April 11, 2019. "Julian Assange is somebody who has done a lot to shine a light on real abuses of state power and the war crimes that we saw in Iraq, so it's really key, I think, to ensure that we give the public the information so that we can hopefully ensure that politicians, at least in this country, don't ever take us into an illegal war again as we saw in Iraq in 2003", Williamson said. "It is unfortunate that, from our territory and with the permission of authorities of the previous government, facilities have been provided within the Ecuadoran embassy in London to interfere in processes of other states", Moreno said. 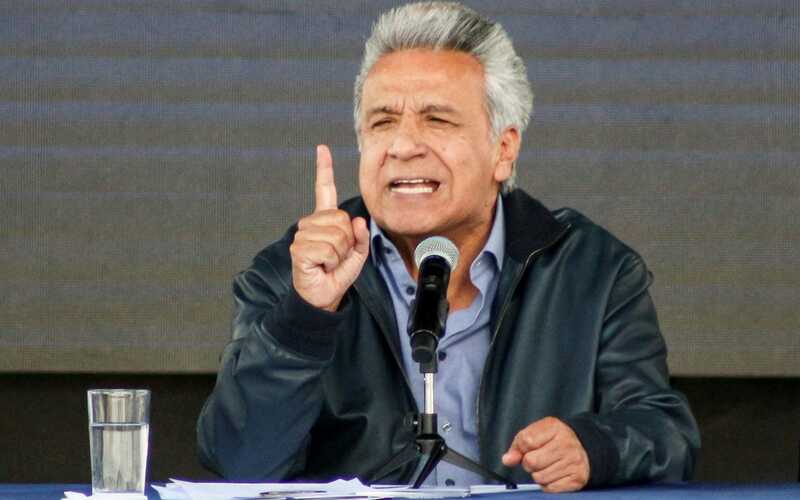 "Any attempt to destabilize is a reprehensible act for Ecuador, because we are a sovereign nation and respectful of the politics of each country", Moreno told The Guardian. He now faces jail for breaching bail and possible extradition to the US.